BIM & BEAM: NEW RISA/Revit Structure 2009 Link Now Available! NEW RISA/Revit Structure 2009 Link Now Available! 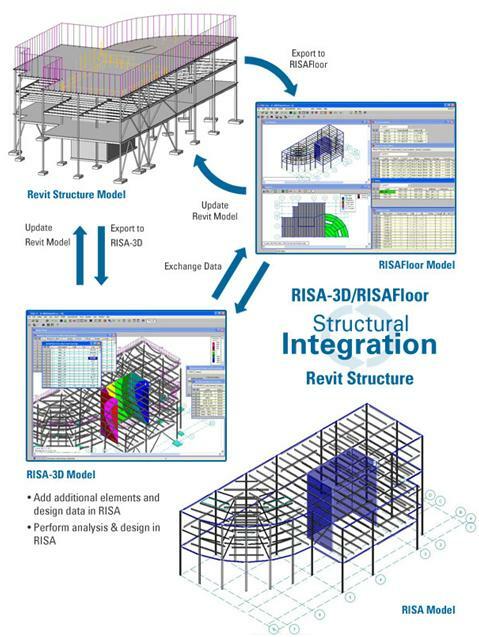 Version 7 of the RISA-3D & RISAFloor link with Revit Structure2009 is now available for download. This two-way link is compatible with Revit Structure 2009 and allows you to transfer information seamlessly between Revit Structure 2009 and RISAFloor or RISA-3D. Visit the RISA website at www.risatech.com/revitstructure to download the new link today!